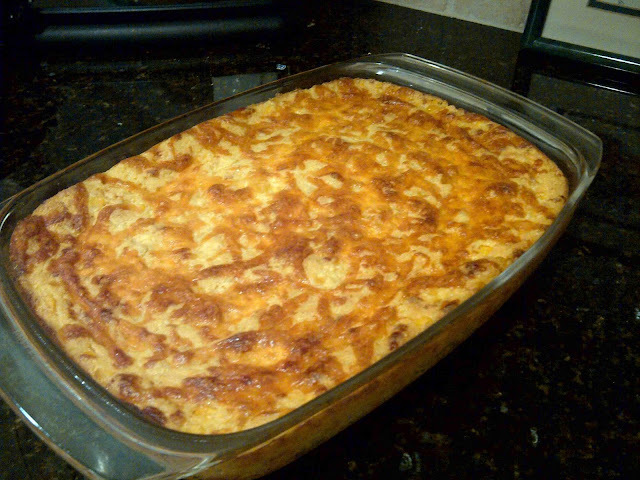 This is one of my husband’s all-time favorite side dishes, and I most definitely agree with him. The first time we made this was for our Thanksgiving dinner in 2008. This recipe is extremely easy and extremely delicious. 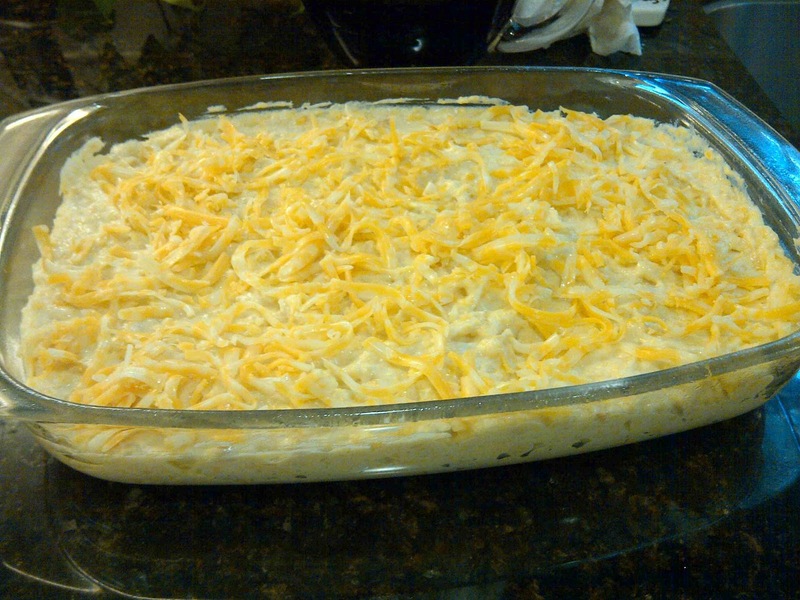 It is a family recipe from my aunt Jolene. I suggest pairing this with any meat such as pork tenderloin, steak, or chicken. Enjoy! All the ingredients you need: butter, jiffy cornbread mix, cheddar cheese, sour cream, whole kernel corn, cream-style corn. 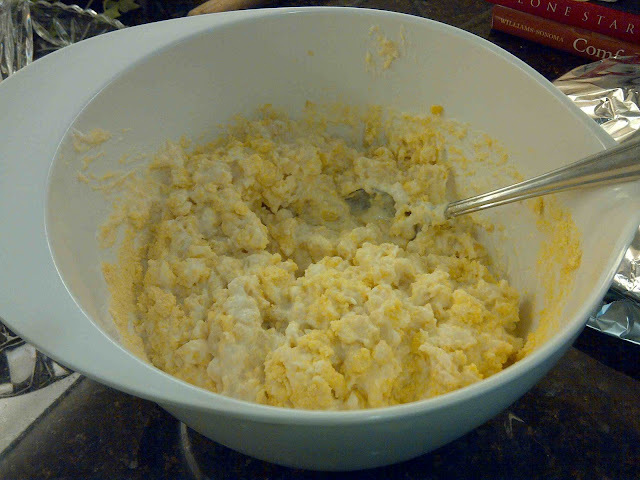 Add corn and cream-style corn to melted butter in a large bowl. Add Jiffy Cornbread mix and sour cream. Add 1/2 cup cheese and stir until mixture is combined. Pour into a greased 9 x 13 inch baking pan. Sprinkle with remaining (1/2 cup) of cheese. Bake for 30-35 minutes at 350 degrees, or until lightly browned and a toothpick comes out clean. 3. Pour into a greased 9 x 13 inch (or smaller) baking dish. 4. Bake for 30-35 minutes or until golden on top and toothpick comes out clean. 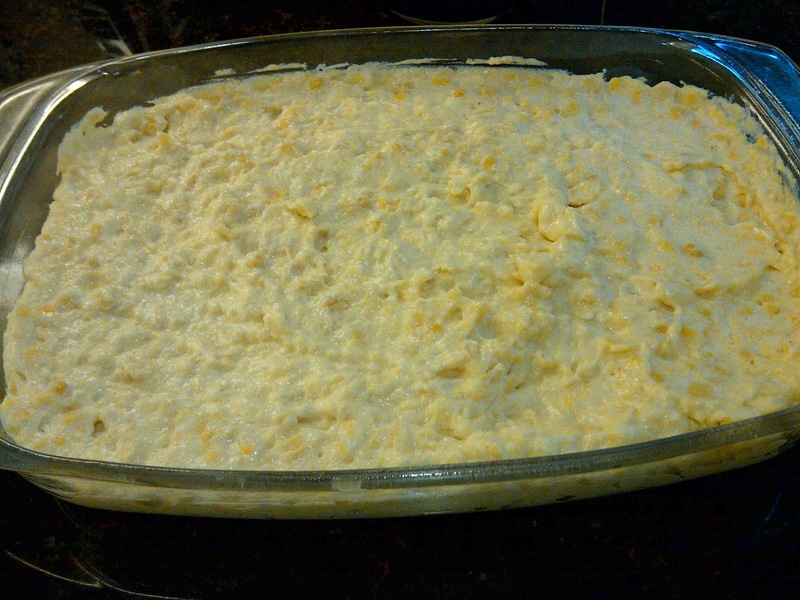 One Response to "Summer Bounty Corn Casserole"
I make this as well and love it. Although, I use french onion dip. You should definitely try it!